If you own a business, you know how important Black Friday and Cyber Monday are to your bottom line. Anemic sales on these days can force entrepreneurs to close their doors. But that doesn’t have to happen to you. Get a jump on Black Friday and Cyber Monday by using your social media skills to develop a powerful sales campaign. Let’s begin with teasing. Tease a product: Select a product and create a mystery around it. Decades ago, a famous coffee manufacturer introduced their brand to major cities by running television and radio ads claiming to bring a “mountain to that city”. The mountain was mountain-grown coffee. Did it work? You bet, by the time the manufacturer introduced the product, millions of people were eager to try it. Tease a story: Do you have a character that represents your brand? If so, create a story around that character and tell it with installments in your social media posts or your electronic newsletter. The story can show someone with a problem that is solved by your brand character at the end of the story. Tease with a question: Ask a question that requires your product or service to be the answer. 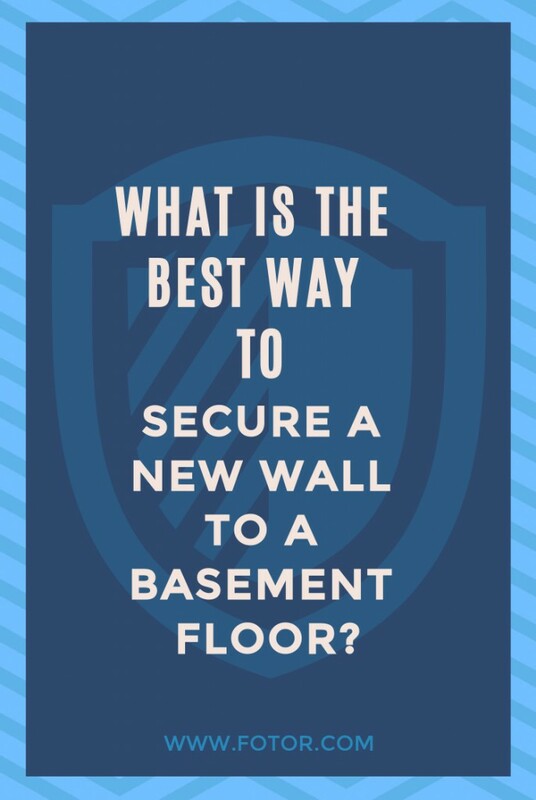 For example, if you sell hardware tools, you can ask, “What is the best way to secure a new wall to a basement floor”? In the next post, you provide the answer: an electric hammer. Designed with Fotor’s design templates. This is extremely important. Great social media posts engage their readers by asking them to answer a question, offer an opinion, or take a poll. Use these techniques as often as possible to keep your readers reading – or stay engaged. While content is supreme, excellent design and imagery are critical to attract eyeballs and support the message embedded in your content. Here are some ways graphics can be more effective. If you are creating your own images, you need to understand some basic techniques about what kind of pictures are effective. For example, a great product shot normally has a white background. 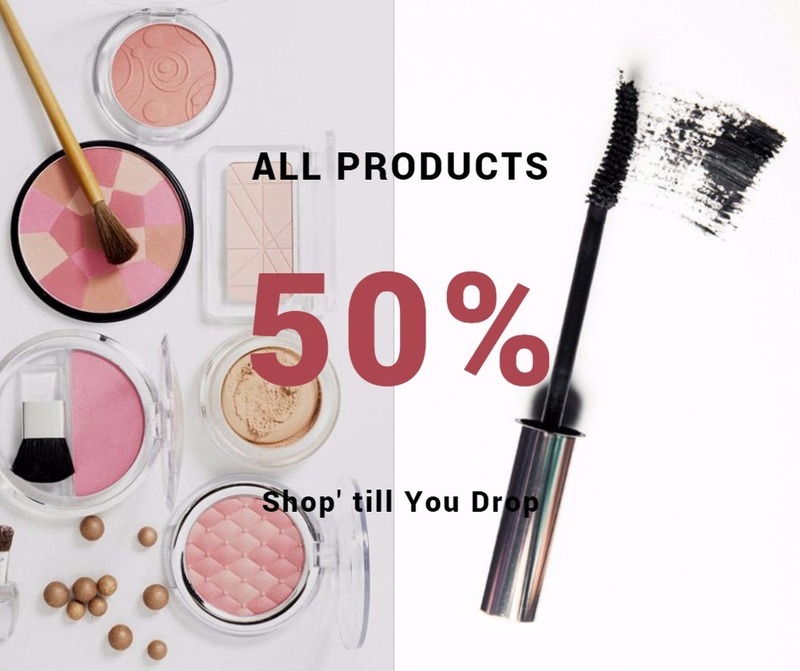 There is rarely a need to use color or to show the product in a setting with other items unless you are selling many products for a living room, kitchen, or bedroom and you show them in a fully decorated setting. If you are using a stock image, look for a picture that matches your content. In most cases, effective images reflect the reader. For example, if you are selling products to homeowners, images of homeowners will have greater drawing power than pictures of homes. Also, don’t discount your own less-than-perfect photographs. Sometimes you can salvage those rejected images by using Fotor’s cropping tool. For example, the photo on the left becomes much more dramatic and interesting simply by cropping away a major portion of the image that adds nothing of value to it. 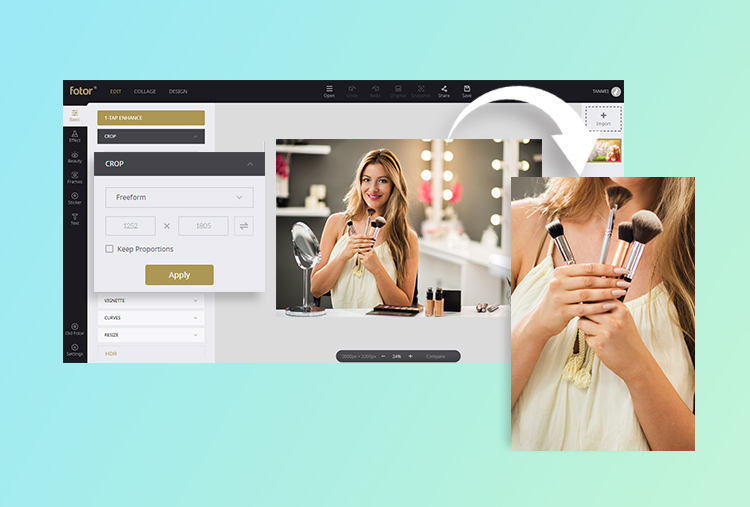 Try Fotor’s Crop feature to show the exact part of your products. After creating your images, it is important to have an effective layout that does not get in the way of your message. 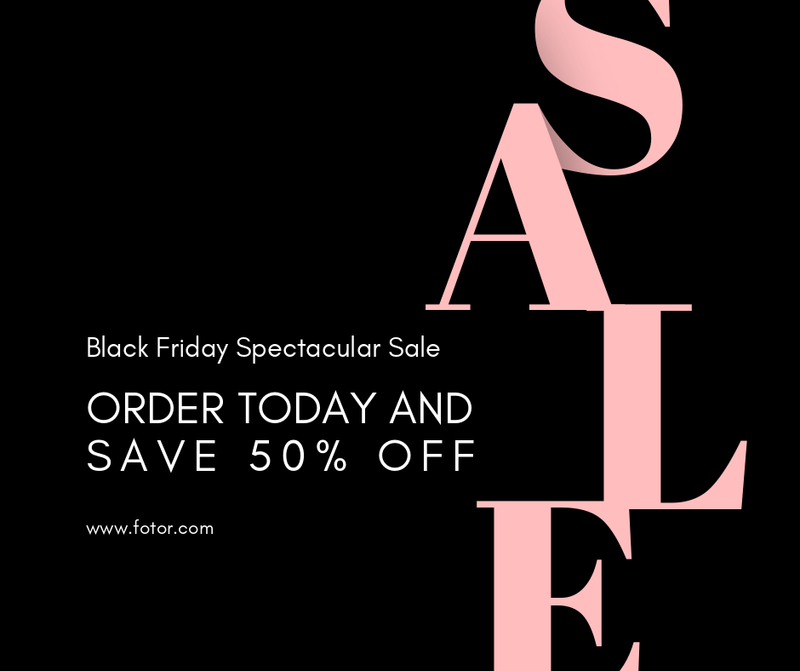 Fotor has many excellent templates you can use as is or as a foundation for a more custom design. Whether you want to create a Facebook cover, social media post, banner ad, electronic newsletter, or printed poster, advertisement, or flyer, you will find a template to meet your needs. The key is to maintain the layout integrity of the template. All Fotor templates follow some basic principles of design such as prioritization, contrast, and single-minded messaging. Notice in the examples below how the layouts communicate one message. We do not try to blend two or three different ideas into one design. Instead, they use a small space to express one big idea. Additionally, you will see in these templates a prioritization of elements. One design element grabs your attention; then the other elements are noticed in the order the designer creates. This is another example from the Fotor template. Just change the script on the original templates, you can totally make it a great promotional post for your sale. You could use this with the grayed-back photo of hands and a big headline that says: “BARGAINS” as large and colorful as the word VOTE. Above it, you could have “Cyber Monday Sale Ends at Midnight” replacing the text in the blue box, you could have a few images of products lined up in a row below the headline BARGAINS. Lastly, notice how Fotor uses color, boldness, and size to create the kind of contrast that will attract readers and set the priority of the message. 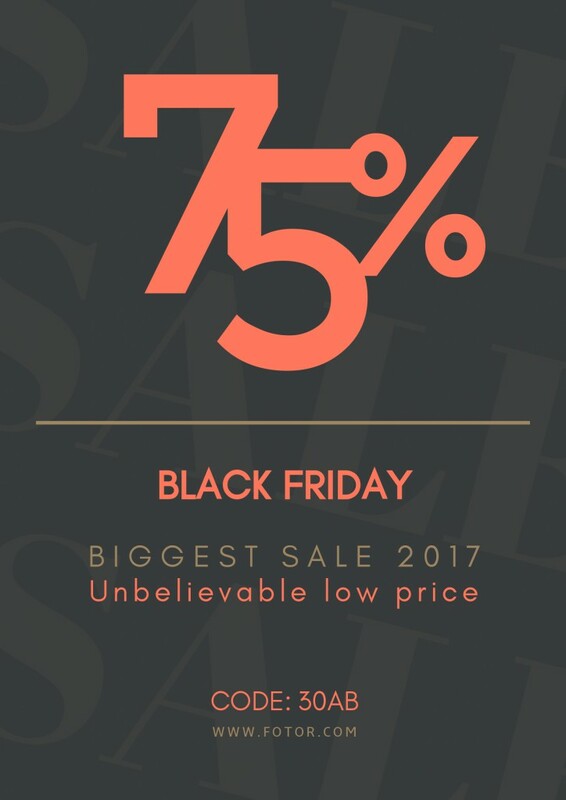 For example, the two-color layout below uses the background color to contrast with the headline yet allows the 75% off in black to stand out and be noticed immediately. Notice how designers used color and boldness in the following example to effectively attract attention and hold it. It is not too early to start promoting your Black Friday and Cyber Monday sales events. Try one or two of these content ideas combined with a solid Fotor design to enhance your social media and print marketing. Good luck and Happy Thanksgiving!